Railpictures.ca - Michael Berry Photo: CN 564 with repainted BCOL 4647 as sole power is entering the Port of Montreal with a long string of baretables. Behind the train is the out of use grain elevator #5. | Railpictures.ca – Canadian Railway Photography – photographie ferroviaire Canadienne. 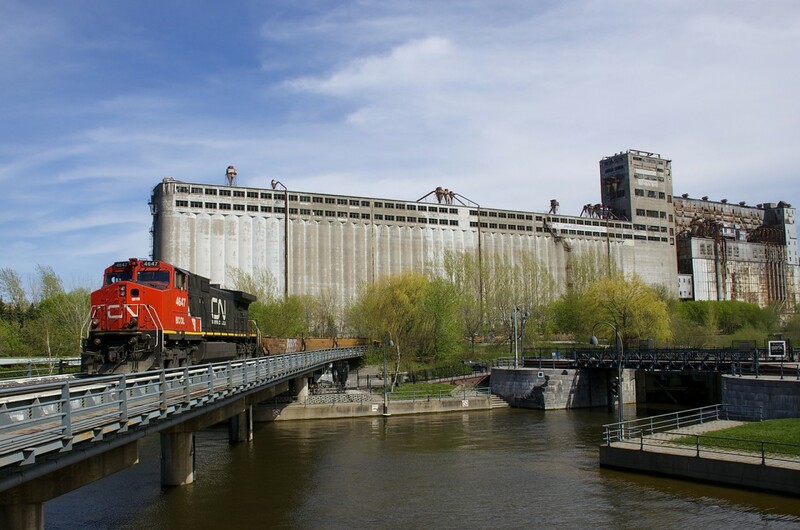 Caption: CN 564 with repainted BCOL 4647 as sole power is entering the Port of Montreal with a long string of baretables. Behind the train is the out of use grain elevator #5.